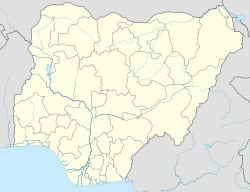 Awe is one of the towns in Afijio Local Government Area in Oyo State, Nigeria. The LGA's headquarters are in the town of Jobele. The postal code of the area is 951. This Oyo State, Nigeria location article is a stub. You can help Wikipedia by expanding it.